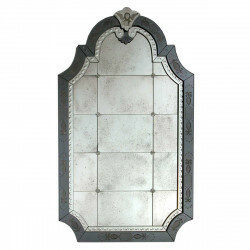 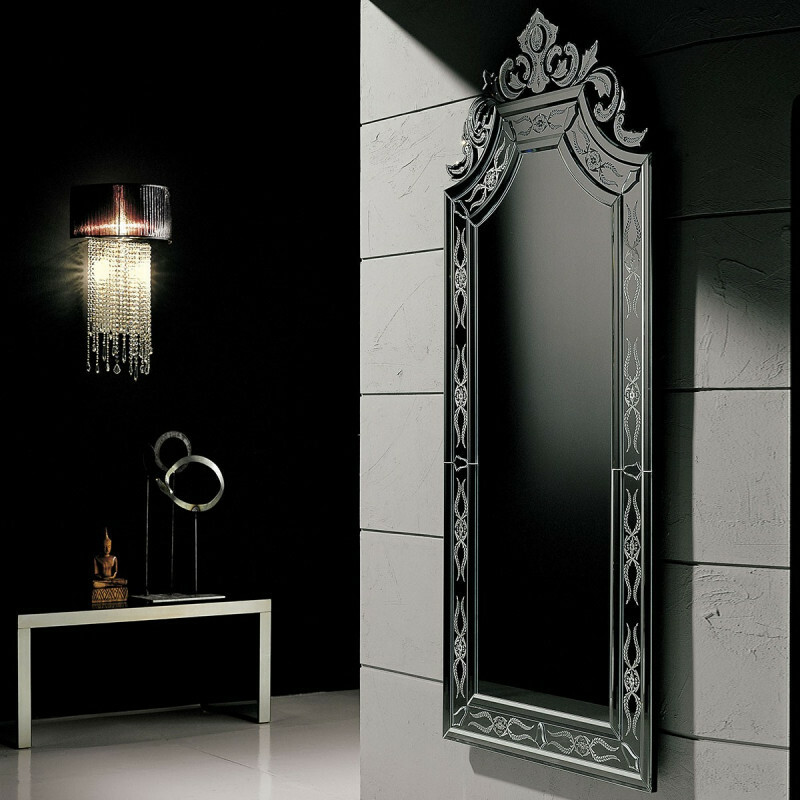 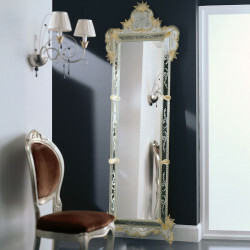 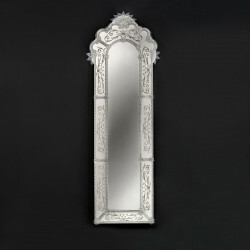 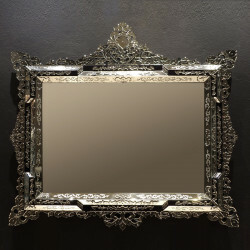 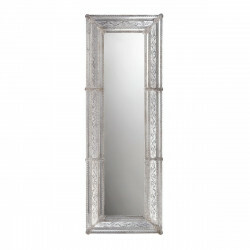 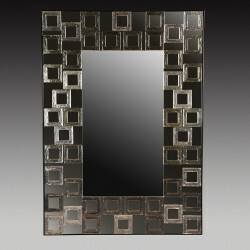 Exude dark romance with this authentic Venetian mirror that transforms your wall into a dramatic, bold design space. 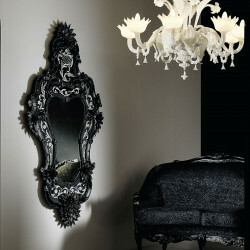 The authentic Murano glass was enhanced by the massive, black frame with bold and intricate details. 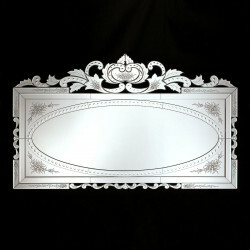 Giving it a hint of refinement, classic Muranese engraving gives it personality and character. 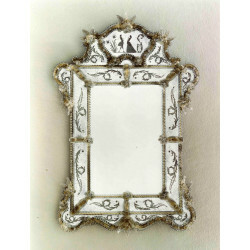 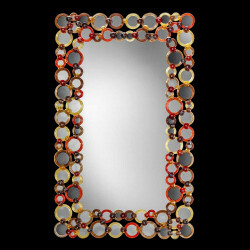 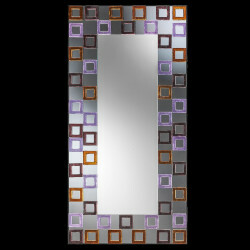 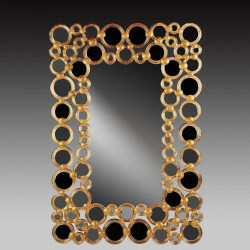 Enjoy the small details and the big effect of this mirror to your wall.